Custom made fabric with the perfect blend of cotton and spandex that always feels comfortable and moves with you. 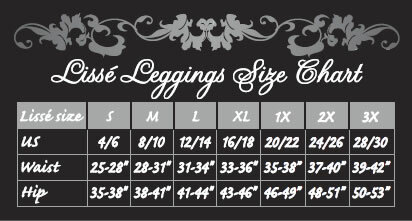 Lyssé Leggings are designed with a revolutionary and hidden control top! A mid-calf length legging that is designed with LysséFit a hi-waist and soft stretch lining which ensures a great silhouette.